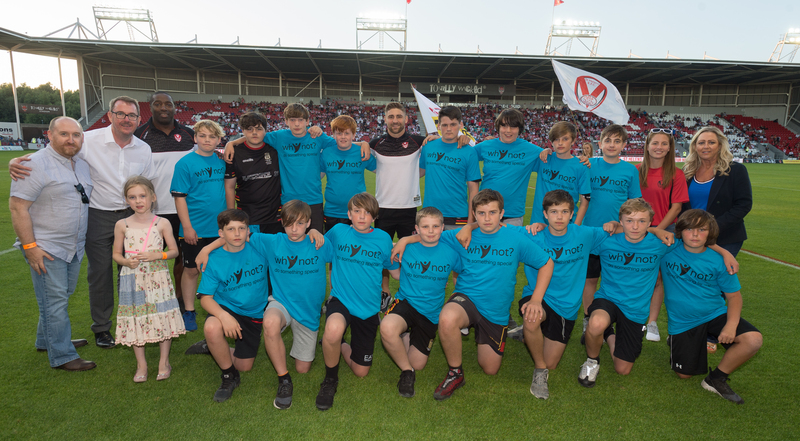 YouthFed are excited to work in partnership with Saints RLFC with the delivery of the Youth Investment Fund which is a joint investment part-funded by Department for Digital, Culture Media and Sport and the Big Lottery Fund. 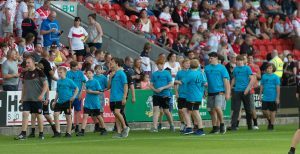 Saints welcomed YouthFed to launch their 4REAL programme at the match against Widnes Vikings on 6th July with support from the young people who will benefit from it. It aims to provide activities to develop skills, improve their wellbeing and promote engagement with their communities. 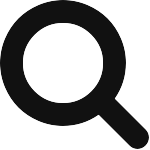 Sharon Vaughan, Project Coordinator for the 4REAL programme said: “YouthFed are delighted to be partnering with Saints and we are looking forward to hearing about the impact the programme has on the young people“.